The Porch Factory has been designing and installing custom screen rooms and enclosures along the Treasure Coast, from Sebastian to Stuart since 2005. From simple front entry ways to the elaborate enclosure with pavers, concrete, summer kitchens and fire pits. We provide a complete project for your home. With your help, or relying on our experience, we will provide you with an outdoor living space that fits your home and your budget. Contact us today for your free in home consultation. We are fully licensed and insured. We hold a current State of Florida Building Contractor's License. Always buy from a licensed contractor. 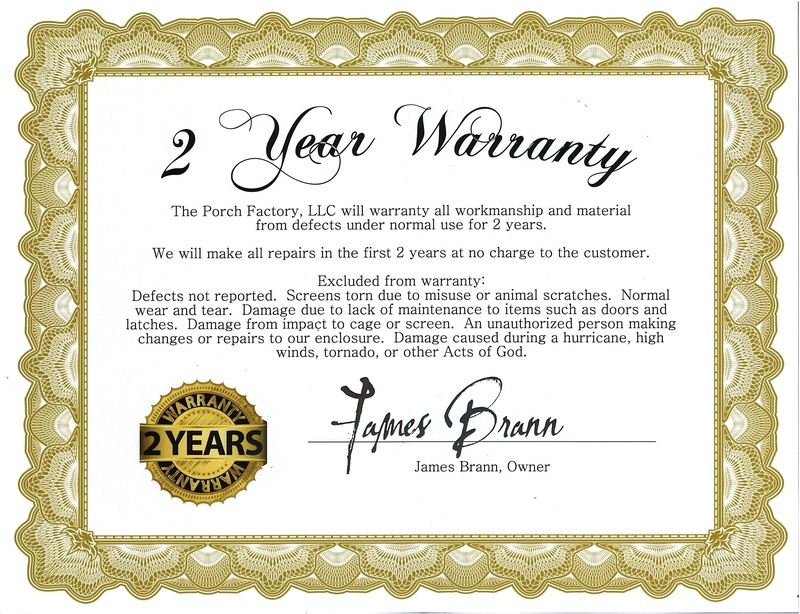 We offer a 2 year warranty on all work!